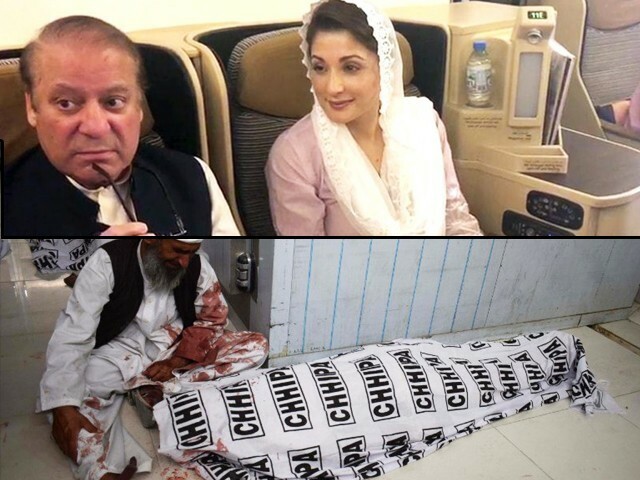 No news channel felt that Mastung’s tragedy deserved more coverage than Nawaz’s arrival. to drive a car. Think and drive.That would be multi tasking. Unheard of in the Sharif Cabal. joining them from, where else, London. London is the first home of these Sharif wala looters. Pakistan is where they loot and plunder and hundi/havala the money to England. So simple. Just need some high power financial experts to bring back the $billions$ to pay off loans they took. All you can say now is how the mighty have fallen. Thanks to Chief Justice Nisar and his court. These Sons of the Soil had no qualms about plundering their country to near bankruptcy. They are the same Sons of the Soil who wanted to put an old, out of touch, in his dotage, general, who fought in three wars to defend Pakistan, in jail. On treason charges to boot!! The Sharif Brothers Maryam and Safdar Travelling Show is no more. Disbanded. Correctly said …. but if you connect the dots the link between both tends to creep through. But, but, see, you, er,…well, hmmm,…the object is to be engaged. In real time, now. just about everything, in the world, you have all the info at your fingertips. You are connected to the world through your cell phone. And media, foreign and domestic. Try not to be left behind, or sit on a wall and not be counted,…after the fact. Raise your voice in a slogan, if that strikes as the right thing to do. In the present tense. or was it Toofan Mail? On the other hand, it would be the right perfect thing to do during the teenage era of Victoria Regina.